A support group found nationwide – go to Local chapters on the web site and put in your zip code to find the nearest chapter to you. Griefnet.org – an Internet community of persons dealing with grief, death, and major loss. 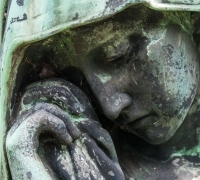 Recover from Grief – healing through creative grieving. The Healing Place – a center for loss and change. My Broken Palace – passionate people who want to help others in their time of brokenness. Helpguide.org – grief and loss help guide. When a Friend Dies: A Book for Teens About Grieving & Healing – Marilyn E. Gootman Ed. D.
I wasn’t Ready to Say Goodbye: Surviving, Coping and Healing After the Sudden Death of a Loved One – Pamela D. Blair Ph.D.
Healing Your Grieving Heart for Teens: 100 Practical Ideas – Alan D. Wolfet Ph.D.